For whatever reason, this ancestor of mine jumps out at me, as if she wants me to tell her story. Has anyone else ever had that feeling about an ancestor from many generations ago? Born 6 March 1811 in Indiana (still working on proving that). Parents are unknown at this point, but there are several possibilities. Ailesann died on 1892 in Greene County, IN, and is buried with her husband in Owen County, IN. On the right is Ailesann’s burial record, page 1. 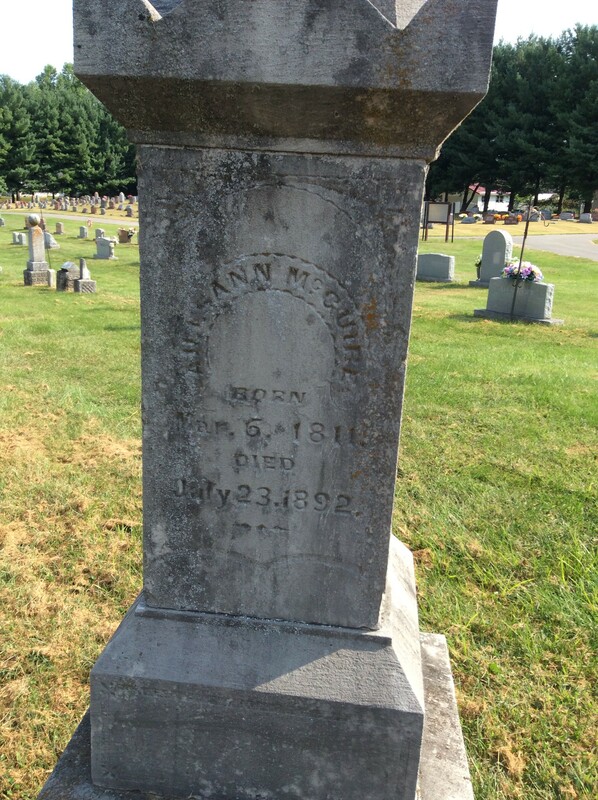 I believe her daughter Mary gave the information because they first recorded the decedent as “Mary McGuire” but then above Mary was added “Alcy Ann.” This record provided a clue for me: Ailesann did not die in Owen County, IN, but in Greene County, IN, which is the next county over. I am indebted to the folks in Owen County who found the burial record book.